SB20 RELATING TO THE ENVIRONMENT. SB21 RELATING TO THE ENVIRONMENT. SB24 RELATING TO CONSUMER PROTECTION. SB25 SD2 HD1 RELATING TO INSURANCE. SB26 RELATING TO PROFESSIONS AND VOCATIONS. SB27 RELATING TO FINANCIAL INSTITUTIONS. SB28 RELATING TO THE PUBLIC UTILITIES COMMISSION. SB29 RELATING TO BUSINESS REGULATION. SB33 SD3 HD2 RELATING TO ECONOMIC DEVELOPMENT. SB37 SD1 RELATING TO PUBLIC LIBRARIES. SB39 RELATING TO STATE FACILITIES. SB40 RELATING TO STATE AND GOVERNMENT OPERATION AND POLICY. SB41 SD1 RELATING TO HAWAIIAN AFFAIRS. SB42 RELATING TO HAWAIIAN AFFAIRS. SB43 RELATING TO HAWAIIAN AFFAIRS. SB44 SD1 RELATING TO HIGHER EDUCATION. SB45 RELATING TO THE BOARD OF REGENTS. SB46 RELATING TO FINANCES AT THE UNIVERSITY OF HAWAII. SB50 SD2 HD1 RELATING TO HUMAN SERVICES. SB51 RELATING TO HUMAN SERVICES. SB52 RELATING TO HUMAN SERVICES. SB53 RELATING TO CAMPAIGN SPENDING. SB57 RELATING TO THE JUDICIARY. SB58 RELATING TO THE PENAL CODE. SB59 RELATING TO PUBLIC SAFETY. SB61 RELATING TO MILITARY AFFAIRS. SB70 RELATING TO THE ENVIRONMENT. SB71 RELATING TO THE STATE BUDGET. SB76 SD2 HD1 RELATING TO TAXATION. SB77 SD3 HD1 RELATING TO CAPITAL IMPROVEMENT PROJECTS. SB195 RELATING TO HAWAIIAN AS AN OFFICIAL LANGUAGE OF THE STATE OF HAWAI‘I. SB219 SD1 HD1 RELATING TO ENTERPRISE TECHNOLOGY SERVICES. SB266 RELATING TO THE HAWAII TOURISM AUTHORITY. SB267 SD1 RELATING TO INTERNATIONAL YOGA DAY. SB683 RELATING TO GENETIC ENGINEERING. SB685 SD1 RELATING TO INVASIVE SPECIES. SB693 SD2 HD1 RELATING TO THE STATEWIDE TRAFFIC CODE. SB694 SD1 RELATING TO CONSUMER PROTECTION. SB699 SD2 HD1 RELATING TO THE BERNICE PAUAHI BISHOP MUSEUM. SB703 RELATING TO RESOURCE LAND ACQUISITION PLAN. SB752 SD1 HD1 RELATING TO AGRICULTURE. SB1094 RELATING TO THE STATE BUDGET. SB1095 RELATING TO THE STATE BUDGET. SB1096 RELATING TO THE STATE BUDGET. SB1097 RELATING TO THE STATE BUDGET. SB1106 RELATING TO CAPITAL IMPROVEMENT PROJECTS. SB1107 RELATING TO CAPITAL IMPROVEMENT PROJECTS. SB1108 RELATING TO CAPITAL IMPROVEMENT PROJECTS. SB1109 RELATING TO CAPITAL IMPROVEMENT PROJECTS. SB1127 RELATING TO THE FESTIVAL OF PACIFIC ARTS. SB1154 RELATING TO THE LANDLORD-TENANT CODE. SB1450 RELATING TO CAPITAL IMPROVEMENT PROJECTS FOR THE BENEFIT OF THE SEVENTH SENATORIAL DISTRICT. SB1488 RELATING TO PROTECTION OF STREAMS. SCR1 REQUESTING THE CHIEF JUSTICE OF THE HAWAII SUPREME COURT TO ADDRESS THE LEGISLATURE ASSEMBLED IN JOINT SESSION FOR THE STATE OF THE JUDICIARY ADDRESS. SCR53 URGING THE COUNTY OF MAUI TO APPROVE THE INSTALLATION AND USE OF COMPOSTING TOILETS, ESPECIALLY IN REMOTE AREAS WHERE COUNTY SEWER LINE ACCESS AND CESSPOOL CONVERSION CAN BE COST-PROHIBITIVE. SCR151 STRONGLY URGING THE UNITED STATES DEPARTMENT OF THE INTERIOR AND THE UNITED STATES CONGRESS TO PROVIDE ADDITIONAL FEDERAL AID AND SUPPORT TO THE STATE OF HAWAII FOR FINANCIAL, MEDICAL, AND OTHER FEDERAL ASSISTANCE FOR MIGRANTS COVERED BY THE COMPACT OF FREE ASSOCIATION. SCR152 REQUESTING THE STATE AND COUNTIES TO EXPAND EFFORTS FOR COMMUNITY INPUT REGARDING ADOPTION OF ADMINISTRATIVE RULES, STATEWIDE PLANS, AND PLANS THAT AFFECT RURAL COMMUNITIES. SCR153 HD1 REQUESTING THE DEPARTMENT OF AGRICULTURE TO STUDY AND MAKE RECOMMENDATIONS ON HOW TO INCREASE COMPLIANCE WITH THE VARIOUS REQUIREMENTS FOR AGRICULTURAL LANDS AND TO PREVENT ABUSE OF AGRICULTURAL LAND LEASES. SCR179 REQUESTING CONGRESS TO ENACT LEGISLATION TO REMOVE CANNABIS FROM THE FEDERAL CONTROLLED SUBSTANCES ACT AND FACILITATE PRIVATE BANKING SERVICES FOR CANNABIS-RELATED BUSINESSES UNDER FEDERAL LAW. SCR180 SD1 HD1 SUPPORTING THE DEVELOPMENT OF A HAWAIIAN LANGUAGE PLAN, INCLUDING GOALS, BENCHMARKS, STRATEGIES, AND OUTCOMES, TO BUILD UPON ACCOMPLISHMENTS AND TO ACCELERATE THE NORMALIZATION OF ‘OLELO HAWAI‘I. SR1 ELECTING OFFICERS OF THE THIRTIETH LEGISLATURE. SR2 ADOPTING THE RULES OF THE SENATE OF THE THIRTIETH LEGISLATURE. SR37 URGING THE COUNTY OF MAUI TO APPROVE THE INSTALLATION AND USE OF COMPOSTING TOILETS, ESPECIALLY IN REMOTE AREAS WHERE COUNTY SEWER LINE ACCESS AND CESSPOOL CONVERSION CAN BE COST-PROHIBITIVE. SR117 STRONGLY URGING THE UNITED STATES DEPARTMENT OF THE INTERIOR AND THE UNITED STATES CONGRESS TO PROVIDE ADDITIONAL FEDERAL AID AND SUPPORT TO THE STATE OF HAWAII FOR FINANCIAL, MEDICAL, AND OTHER FEDERAL ASSISTANCE FOR MIGRANTS COVERED BY THE COMPACT OF FREE ASSOCIATION. SR118 REQUESTING THE STATE AND COUNTIES TO EXPAND EFFORTS FOR COMMUNITY INPUT REGARDING ADOPTION OF ADMINISTRATIVE RULES, STATEWIDE PLANS, AND PLANS THAT AFFECT RURAL COMMUNITIES. SR119 REQUESTING THE DEPARTMENT OF AGRICULTURE TO STUDY AND MAKE RECOMMENDATIONS ON HOW TO INCREASE COMPLIANCE WITH THE VARIOUS REQUIREMENTS FOR AGRICULTURAL LANDS AND TO PREVENT ABUSE OF AGRICULTURAL LAND LEASES. SR145 REQUESTING CONGRESS TO ENACT LEGISLATION TO REMOVE CANNABIS FROM THE FEDERAL CONTROLLED SUBSTANCES ACT AND FACILITATE PRIVATE BANKING SERVICES FOR CANNABIS-RELATED BUSINESSES UNDER FEDERAL LAW. 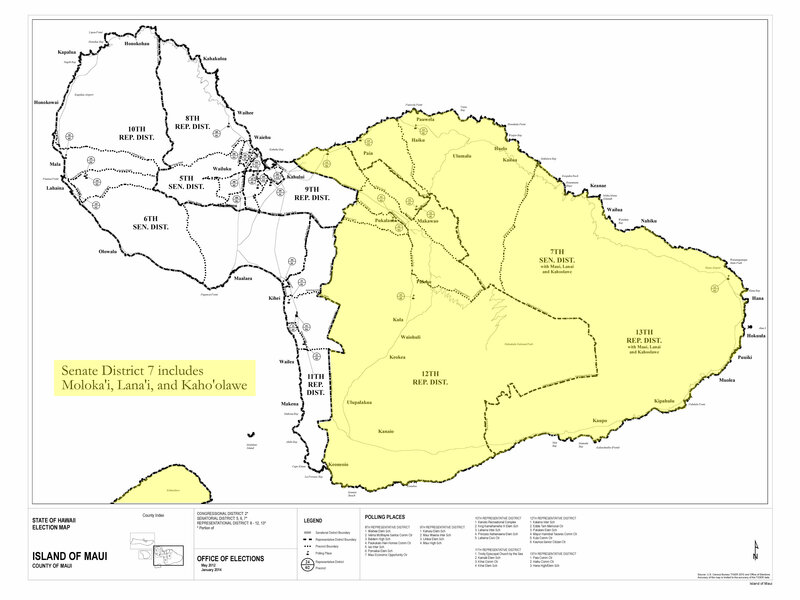 SR146 SD1 SUPPORTING THE DEVELOPMENT OF A HAWAIIAN LANGUAGE PLAN, INCLUDING GOALS, BENCHMARKS, STRATEGIES, AND OUTCOMES, TO BUILD UPON ACCOMPLISHMENTS AND TO ACCELERATE THE NORMALIZATION OF ‘OLELO HAWAI‘I. Senator J. Kalani English currently serves as the Senate Majority Leader. He is vice chair of the Senate Committee on Technology, and is a member of the Senate Committees on Ways and Means and Transportation. Senator J. Kalani English was raised in Hāna, Maui by his grandparents who instilled in him a strong work ethic and dedication to family and community. Bilingual in English and Hawaiian languages and proficient in Mandarin, Senator English possesses uniquely diverse attributes. He has both a distinguished birthright and well-earned recognition as a ranking Ali‘i 7th degree, Royal Order of Kamehameha I and member of The Honorable Order of Kentucky Colonels. 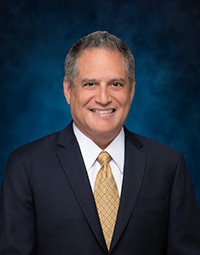 Of Hawaiian, Tahitian, Chinese, and Russian Jewish heritage, Senator English graduated from Kamehameha Schools in 1984. He went on to Taiwan, continuing his studies and received a certificate from the Center for Public and Business Administration Education from the National Chengchi University. Then in 1989 he earned his B.A. in Pacific Islands Studies from Hawai‘i Loa College. He is an alumnus of the East-West Center's Institute of Culture & Communication, and completed graduate studies at UH Manoa in 1995 with an M.A. in Pacific Island Studies. I join my fellow Senate colleagues and all of Maui County in expressing our deepest and sincerest condolences to the family of my friend and colleague Mele Carroll. Mele and I worked closely since my days as a Maui County councilmember and continued with me when I started in the Hawai‘i State Senate. While serving as my chief of staff, Mele garnered the proficiency and knowledge of the County of Maui and the Hawai‘i State Senate. She went on to make her own mark serving the people of Maui and our State and helping all those she came in contact with. Hawai‘i has suffered the loss of a dedicated leader and honorable public servant. I will dearly miss my friend and colleague Mele Carroll. "Although it is with a heavy heart to see her step down from a position I know she cherishes and loves, I support Representative Mele Carroll's decision to resign from the House of Representatives to care for her health and spend quality time with her family. She has been a longtime friend and colleague for many years and I commend her dedication and passion as a state lawmaker to serve her community and improve the lives of the people of Hawaii. With her compassionate nature and drive to make a difference, she has worked tirelessly each day to make this world a better place. She is an effective and diligent champion for her district and the state and we will keep her and her 'ohana in our thoughts and prayers as she takes the time to care for her health."